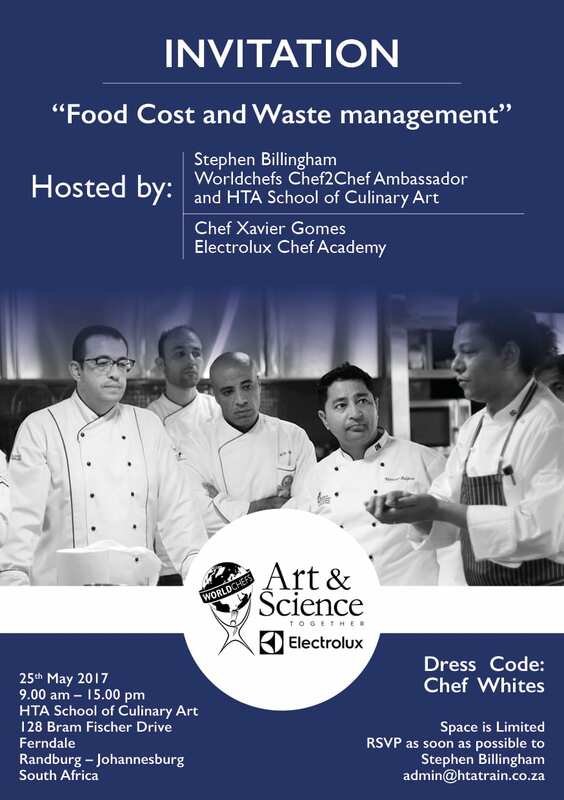 “The Food Cost and Waste Management Seminar took place in Johannesburg at the end of end of May, at the HTA School of Culinary Art, supported by President of South African Chefs Association, Stephen Billingham. During this event, Electrolux and Worldchefs raised today’s relevant business dynamic subject: Food Cost, which generated keen interest amongst the South African Chef’s Community, discussing how technology could assist in the running and managing different Kitchen types profitably, improving Food Cost and better managing Waste. The aim of the workshop is to build on and extend the range of skills, techniques and knowledge helping to better manage the food cost. This seminar would assist in acquiring new culinary knowledge as well as operational one while discovering the solutions to managing profitably different types of kitchens using cooking technology to improve food cost.